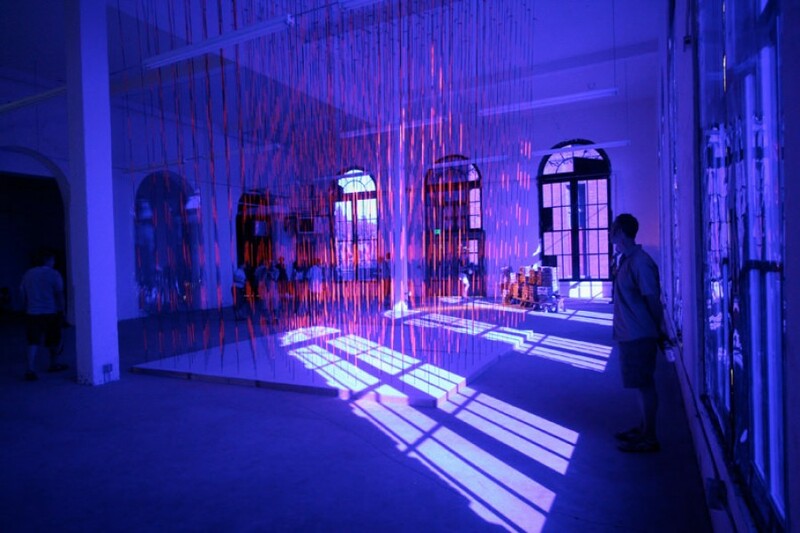 The two linked projects for the Seattle Artopia event, Vibrating Indigo and Spatial Matrix 599nm transforms the old brewhouse using theatrical gels to isolate the light entering the space to the frequency of one color. 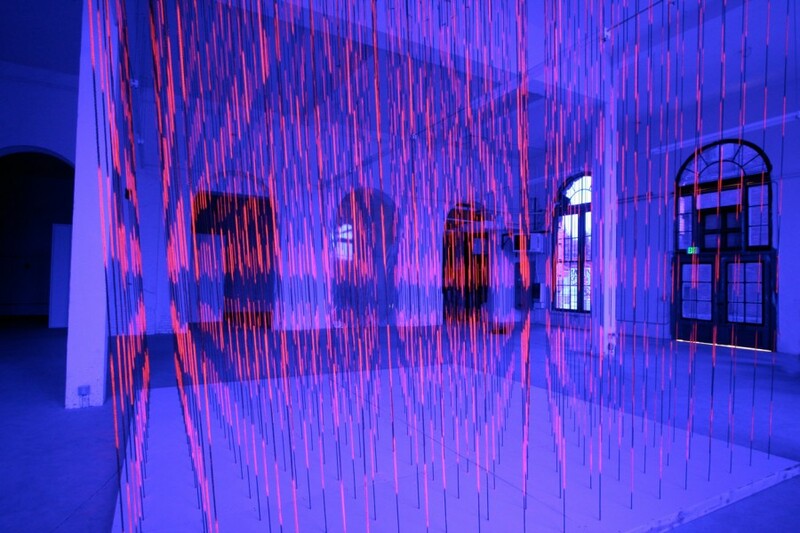 Besides the visceral effect (perceived or actual) of bathing a singular wavelength of color on our body, a psyco-physical experience called “retinal fatigue” will happen if one stays in the room for a few minutes. As you exit the space, the complementary color will color the world outside creating the perception of the world being bathed in golden light. The project also references ancient chromatotherapy theories and Egyptian Temples at Heliopolis. 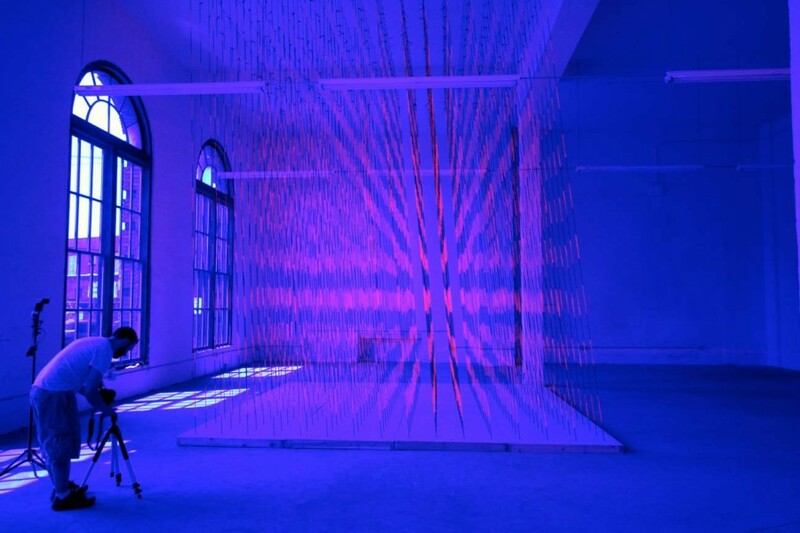 Spatial Matrix, the 599nm project utilizes repeating dashed patterns in space that form corn-row effects and interference patterns both amplifying and limiting a 3d- space. 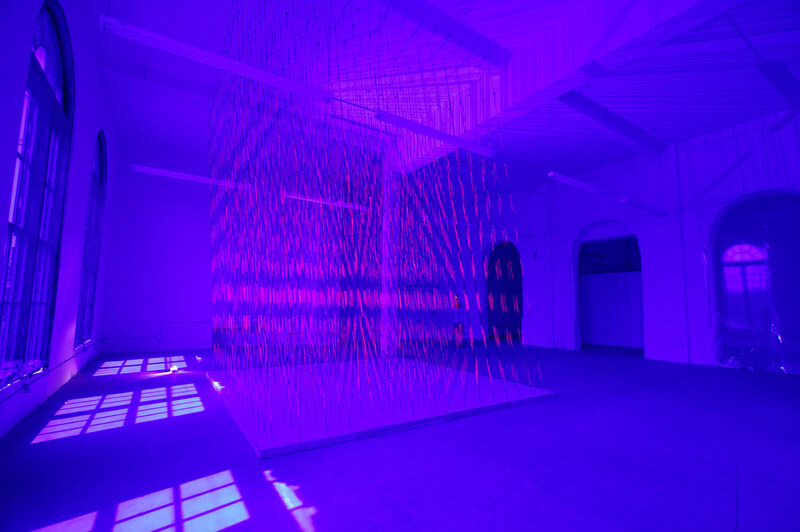 The sunlight filtered from the theatrical gel covered windows causes the black rope to disappear and the "Safety Orange" paint to fluoresce and enhance the floating effect. This entry was posted in gallery / installations by dan. Bookmark the permalink. Copyright © Dan Corson 1989-2019.